There are indications that no fewer than 10 Directors-General and Heads of agencies among the 26 who were on Monday sacked by President Muhammadu Buhari may be handed over to the Economic and Financial Crimes Commission, EFCC, and the Independent Corrupt Practices and Other Related Offences Commission, ICPC, for investigation. The option to hand over some of those relieved of their appointment was due to the large-scale fraud in their agencies, The Nation reports. The report stated that one of those to be handed over to the anti-graft agencies allegedly spent N200M on the Presidential campaign programme of the Peoples Democratic Party, PDP, last year. 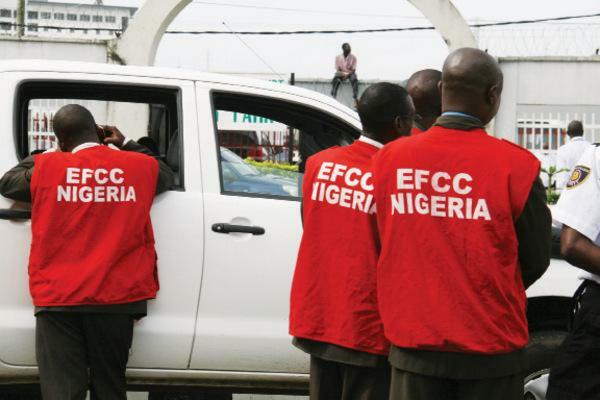 Speaking with the newspaper, a source in the know said, ?At least 10 of those sacked chief executives will be handed over to the EFCC and the ICPC. The report on their misconduct is ready for these anti-graft agencies to act upon. ?All security agencies received the list of those affected about 24 hours before the formal announcement. They will all be placed on surveillance until cleared. ?Some of them have actually appeared before the EFCC and ICPC in the last eight months. Their cases are under various stages of investigation. ?The revelations are mind-boggling and it is sad that some of these chief executives continued with the impunity even after a new government had taken over.? ?The President bid time to get intelligence report on the atrocities, recklessness and outright graft by some of these former CEOs before sending them packing.? The report quoted the source as saying a former female chief executive was alleged to have donated N700million to the PDP?s presidential campaign in January 2015; furnishing of an office at N800million which donor agencies can supply at no cost and the construction of a store at N240million instead of N40million.